Once we have been saved, our identity has changed to belong to the family and Kingdom of God. This new identify has elevated our status to become a citizen of His Kingdom. It is only then that God's people set their hearts and minds on things above--not on earthly things. We may face worldly challenges, but our hope in the glorification of our body, as promised, helps overcome them sufficiently. Amen! 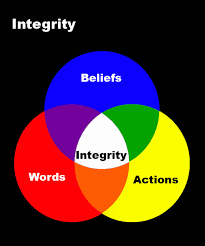 Integrity defines how genuine we are in what we say and do based on our beliefs. It represents an overlapping area of our words, deeds and beliefs. The greater this overlapping becomes, the greater your integrity is. It is essential to maintain a reasonably sufficient amount of integrity. Without integrity, a man or a woman can hardly gain credibility as a missional business entrepreneur. Integrity may be manifest through honesty, consistency and sincerity. To be effective as a missional business entrepreneur, integrity alone is not sufficient. He or she should strive for excellence in what they do. As mentioned above, integrity may demonstrate that we belong to the Kingdom and values of God, but excellence points to God as the source of our successes, ultimately glorifying Him. Excellence is not just an act, but a habit since it results from doing ordinary things extraordinarily well over and over. Excellence, therefore, begins with a right attitude of commitment. 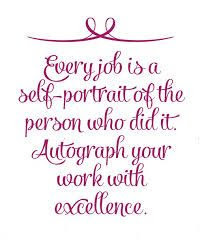 We should commit ourselves to autographing every work with excellence because we work for the Lord. 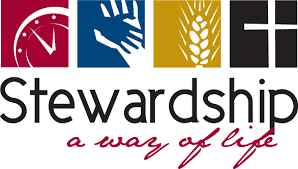 Stewardship represents careful and responsible management of what has been entrusted . To be a good steward, one must carry out this responsibility according to the will of the owner or the party who has entrusted us with their resources. Through His creation of all things and His redemptive nature, God owns everything, including our time (life), talents, treasures, terrain and relationships. Good stewardship is a test of our worship and way of life. Effective missional business entrepreneurs understand these essential values and should apply them to every work they do in managing their businesses. SfK MBA (Missional Business Academy) Training produced the first 7 graduates from its first course held in Bangkok, Thailand. (March 26-April 30, 2016). They presented and successfully defended their team business plans. Now, they will focus on organizing a group of at least 7 members and training them with what they have learned. During this training period, SfK MBA 2-day Seminar was held on April 11 and 12 in Chiang Mai, Thailand. A total of 8 participants benefited from this concise version. This seminar has led to holding a full scale SfK MBA Training in March 2017. It has been decided that SfK Korea will be established as a corporation in Korea. This corporation will have a formal governing function through a board of directors and auditor. Rev. Dongho Kim, a renowned pastor and a strong advocate and practitioner of social enterprises, will chair the board. Another professor in public administration has agreed to serve the board with a focus on governance and transparency. Other board members will be identified as time goes along. SfK Korea will function as the general partner for a limited partnership to be formed as a private equity fund to support missional businesses in Asia and Africa. The prospectus is scheduled to become available in August 2016 and the official launch is scheduled for October or November of 2016. During his visit to Korea, Jeffrey Lee has met several people who were interested in partnering with SfK. This process of identifying suitable partners will continue and the search process will continue as SfK Ministries continues to expand. SfK Ministries has produced the first transformation missional business story of Nebia House in video clip. This video will be introduced at the SfK Ministries Dedication Service to be held on May 14th and will be made available on YouTube afterwards. SfK Ministries continues its efforts on developing a web-based database for Kingdom Fellows and Missional Businesses. SfK Ministries is finalizing the development of due diligence documents and its Investment Policy. These will be implemented upon the board's approval. 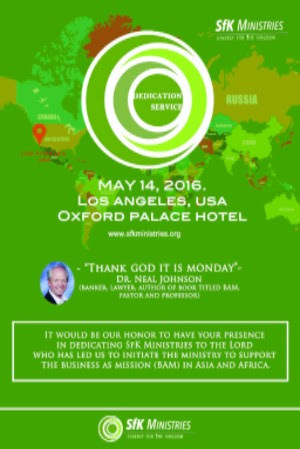 May 14th, 2016: SfK Ministries will hold its dedication service, the official launch, at 6:30pm onSaturday, May 14th, at Oxford Palace Hotel in Los Angeles, California. 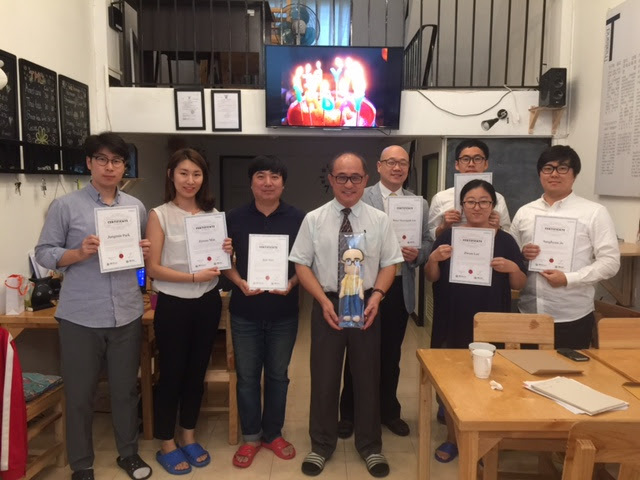 July 18th-August 19th, 2016: IBA (International Business Alliance), the umbrella network of BAMers or BAM supporters in Korea, will hold a 4-week intensive training course (July 18 - August 19, except for a week dedicated for the Mission Korea event) for those who are committed to the BAM ministry. Jeffrey will be on the 5-person panel of subject matter experts to evaluate the business plans that each team will present on the last two days of the training. This school (tentatively named New Moravian School) will be the first of its kind being offered in cooperation with mission agencies in Korea. May 14th, 2016: SfK Life Corporation will hold its strategic planning session and regular board meeting. 1. SfK Ministries Dedication Service will be a blessing to all participants and God will be honored. 2. The Board of Directors of SfK Life Corporation will discuss collaboratively and decide wisely on all matters that will come for their deliberation in strategic planning session as well as regular board meetings. 3. The process of forming SfK Korea will be smooth, including the fundraising for SfK BAM Fund. 4. All people involved in building the foundation for SfK Ministries will remain strong with their renewed commitment to serving the Lord and His Kingdom through the support for transforming missional businesses.